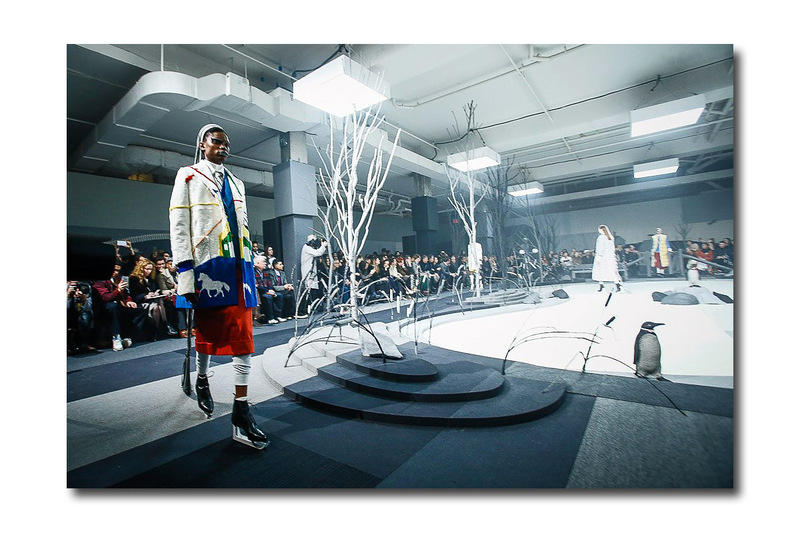 Global warming may be a reality but in Thom Browne’s universe, it will be an icy cold winter. Or so he hopes. All the better for his customer to enjoy the absolutely superb menswear, textural loopy knits, mixed yarn tweeds, fantastic furs, and down filled overcoats that comprise his Fall/Winter 2017 collection. 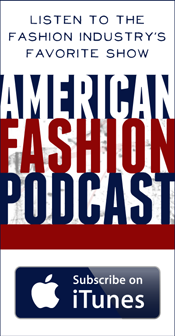 Last season Thom showed almost NOTHING but dresses on his runway. Granted, since his overall theme was fool the eye (trompe l’oeil), the dresses were made to look like separates (in some cases, three or four pieces) but, nonetheless, they were one piece dresses. This time around, he did a complete about-face: there was not one dress on the lineup. As the slogan on the back of one of his fur coats explained succinctly, “It’s too cold to wear a dress!”. And he made sure the audience felt the chill. Brrrr! Thom’s stage sets are always like none other (he must have some amazing dreams!) and, last night, he turned the runway at Skylight Modern into a wintry tableau complete with a barren landscape, frozen lake, and penguins (he did not forget his beloved dog, who was perched on a rowboat). It just happened to be wet, chilly, and a little icy last evening so it was perfect. 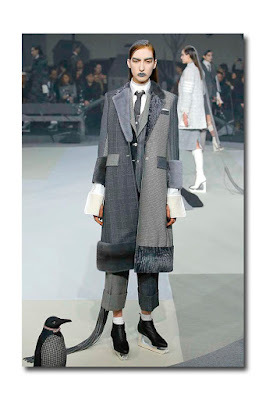 He is obsessed with penguins at the moment and they showed up in the form of a penguin printed fur, a black and white penguin printed patent leather coat, penguin embroideries, and penguin handbags. The 50-piece collection played out primarily in shades of grey (always his favorite), with a smattering of color and chic black & white. It was a study in the superbly tailored menswear pieces (overcoats, chesterfields, sport coats, sack suits, high waisted trousers) and classic menswear fabrics and patterns, which have become Thom’s signatures. He took the theme and ran with it in his usual exuberant, expressive fashion. Every model uniformly wore a white turtleneck, crisp white shirt, and tie beneath her ensemble. 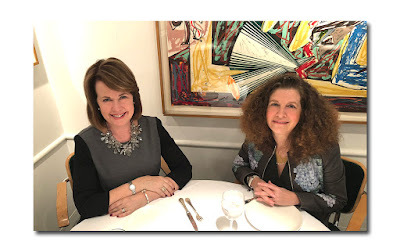 There were white shoes cheekily emblazoned black bow ties and black ties, and there was even a clutch bag which mimicked the top of a gray jacket, white shirt, and black tie. Sure, we’ve seen menswear for women throughout the recent shows, but nobody does menswear quite like Thom, thanks to his inventive combinations and layering, his sense of humor, the touches of whimsy and, most importantly, his unparalleled fabrication. It is really all about the amazing fabrics he’s painstakingly developed to his own specifications (Shetland wools; boucle wools; hand loomed, mixed yarn; tech tweeds and herringbones tweeds; argyle cashmere and patchwork argyles among others). The designer is so painstakingly detail oriented. If you looked closely, you saw that pieces of herringbone covered the branches of the some of the trees, and were used on the lips of each model. There were also a variety of embroideries (loop tweed and metal strip embroidery) and jazzy beaded button fringe that added another decorative dimension to the clothes. There was also plenty of fur and fur trim: sable, mink, Karakul, Swakara, sometimes all used in one coat. 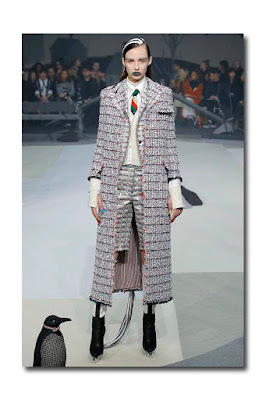 And let’s not forget about the superbly tailored down filled coats and jackets. A black nylon tech down filled morning coat and black nylon double breasted overcoat with wide lapel were formal enough to end the show. 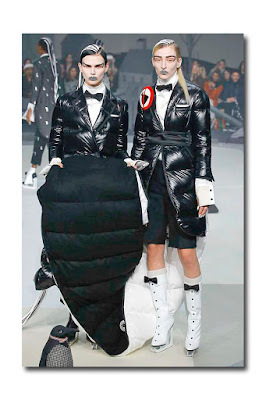 I bet you never saw that before, except on the Moncler Gamme Bleu runway in Paris (he had once been its Creative Director). After having been a fashion editor for decades, it's easy to become jaded. 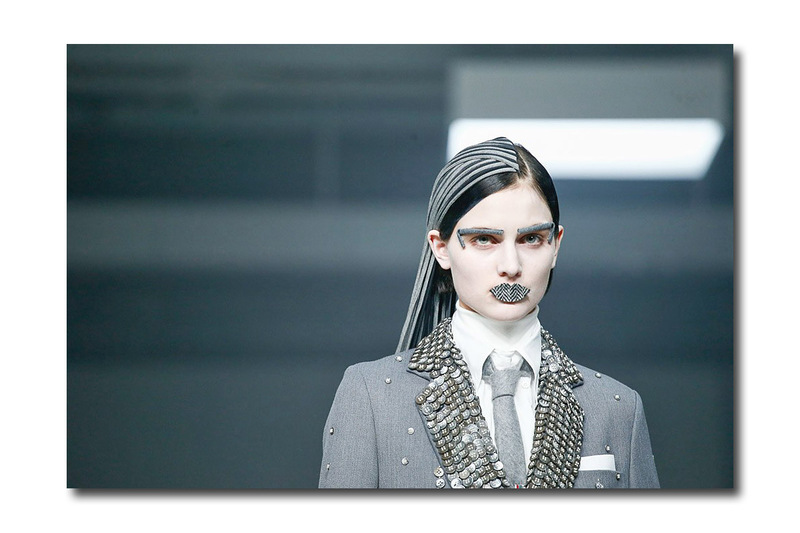 Thom's show is a prime example of why I love and become excited by fashion.